iCloud Drive is Apple’s answer to a cloud-based storage system. Over the years, it has improved a lot in terms of usability, including working across various platforms. If you’ve been storing files in another storage service, like Dropbox, Google Drive, or OneDrive and you want to condense down to just iCloud Drive, you can easily move all of your data with just a few steps. Dropbox automatically creates a Favorites shortcut in the sidebar of your Finder window, so you can drag and drop files on your Mac. 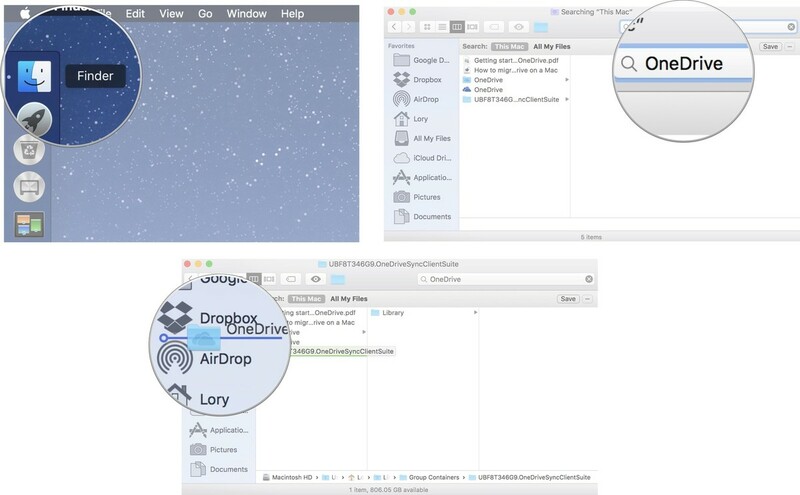 -Open Finder from your Mac’s dock. -Click on Dropbox in the sidebar. -Select the files and folders you want to move (or select them all if you want to completely move away from Dropbox reliance). 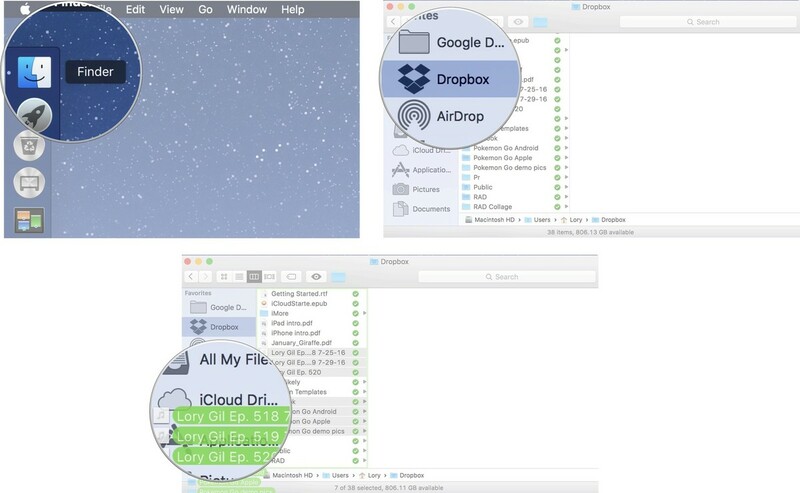 -Drag the files to iCloud Drive in the sidebar of the Finder window. 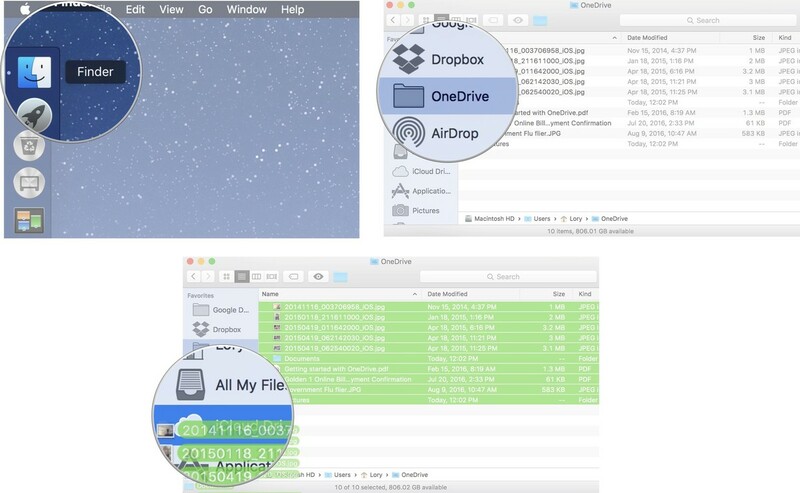 Your files will sync with iCloud Drive and be removed from Dropbox. 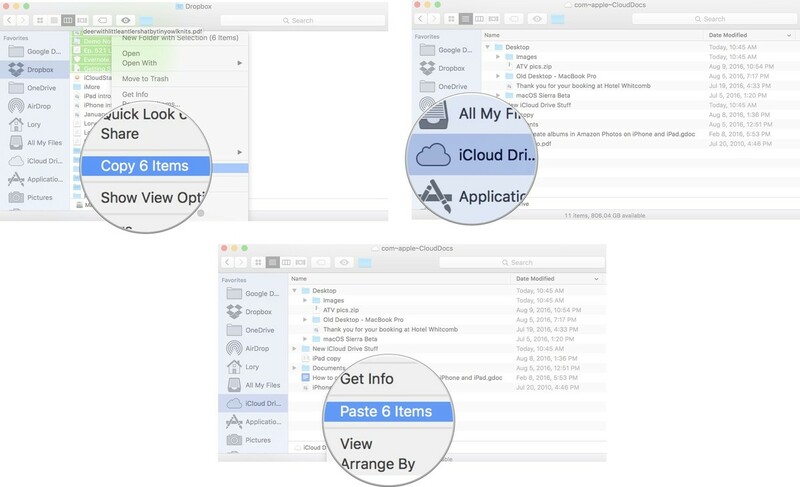 If you change your mind (like you forgot you were sharing a folder with someone), you can always drag files and folders back from iCloud Drive into Dropbox the same way. After you’ve download Google’s Backup and Sync app for Macand set it up, Google Drive automatically creates a Favorites shortcut in the sidebar of your Finder window, so you can drag and drop files on your Mac. -Click on Google Drive in the sidebar. -Select the files and folders you want to move (or select them all if you want to completely move away from Google Drive reliance). Your files will sync with iCloud Drive and be removed from Google Drive. 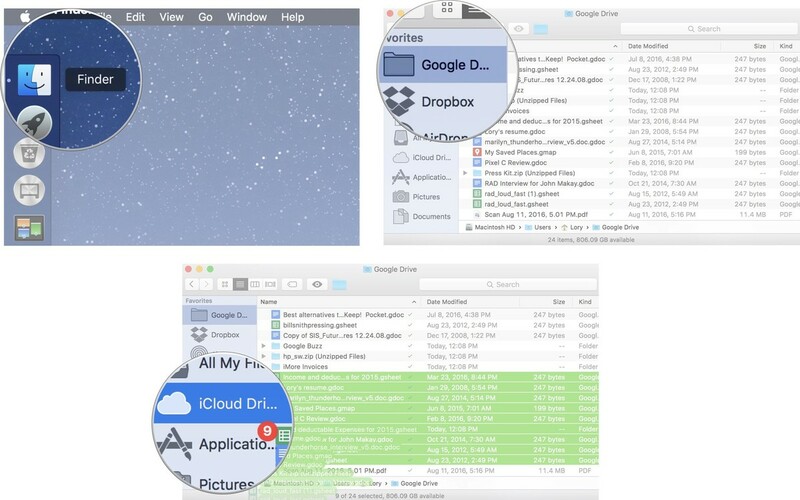 If you change your mind, you can always drag files and folders back from iCloud Drive into Google Drive the same way. At the present time, during the current beta period for the upcoming macOS High Sierra, Google Drive appears unable to work with at least some systems running the beta OS. This is due to APFS, the Apple File System, which is the new default for Macs running High Sierra. If your drive is formatted as an APFS drive (which may have happened automatically if you installed the High Sierra developer or public betas), Google Drive will be unable to sync any folders on that drive. For now, Google Drive requires a drive formatted in HFS+, the previous default file system for macOS. Google will need to update Backup and Sync for Mac to allow Google Drive to work with APFS volumes. One Drive does not automatically create a Favorites shortcut in the sidebar of your Finder window, but you can manually create one. -Click the search bar in the upper right corner of the Finder window. Enter OneDrive to find the folder. -Select the OneDrive folder (Make sure it is the folder where your files are stored and not the application itself). After you have created a Favorites shortcut for OneDrive in your Finder window’s sidebar, you can easily move files to iCloud Drive. -Click on OneDrive in the sidebar. -Select the files and folders you want to move (or select them all if you want to completely move away from OneDrive reliance). Your files will sync with iCloud Drive and be removed from OneDrive. If you change your mind, you can always drag files and folders back from iCloud Drive into OneDrive the same way. If you don’t want to actually remove files from Dropbox, Google Drive, or OneDrive, but want a secondary security measure for backing up your data, you can make copies of files. -Click on Dropbox, Google Drive, or OneDrive from the sidebar. -Select the file or files for which you want to make copies. -Right-click inside the Finder window. -Select Copy item(s) from the dropdown menu. -Click on iCloud Drive from the sidebar. -Select Paste item(s) from the dropdown menu.